Generally clear. Low 56F. Winds N at 5 to 10 mph..
Generally clear. Low 56F. Winds N at 5 to 10 mph. Over the course of 50 years in films and television, Charlotte Stewart played opposite the leading men of several eras, including Jimmy Stewart, Rock Hudson, Elvis Presley, Kevin Bacon and Rainn Wilson. Stewart and her husband, David Banks, started calling Napa home two years ago when they moved here to be closer to numerous Bay Area family members, including a niece, Napa veterinarian, Dr. Mary Whitehill. Moving from the limelight of Los Angeles to Napa might seem strange except that, Stewart points out, her life has always been about more than acting. “Living here gives me a chance to put my life into a different gear and focus on things that matter most,” Stewart says. High on her list is her fundraising work on behalf of breast cancer charities, locally for the Wellness Center at The Queen of the Valley Hospital. Stewart is not just lending her celebrity to a “hot cause;” it’s personal. In 1991, after a long, hectic career, her life made a stunning turn when she was diagnosed with breast cancer. She underwent two lumpectomy procedures and radiation and has been free of the disease since. The road to her current work started when her cancer treatment ended in a way that felt incomplete. On her own, Stewart sought out expert advice on nutrition, as well as counseling to work through the psychological trauma of the disease. She also found an acupuncturist, whose work helped her a great deal. Today, her support of the Queen’s Wellness Center comes from desire to raise funds for the facility so cancer victims and their families can benefit from a range of support services that did not exist for her in the early 1990s. The move to Napa has also given her a chance to return to her love of theater. She’s in rehearsals for Napa Regional Dance Company’s “The Nutcracker,” playing Dec. 19 and 20 at the Lincoln Theater in Yountville. Stewart sees a natural connection between this show and the four years she spent on “Little House on the Prairie.” Because she played the town’s schoolteacher, nearly all her scenes were shot with the child actors. “I hardly ever got to spend time with the adults on the set and so I’m still good friends with a lot of the people who were children then, especially Alison Arngrim, who played Nellie Olesen so brilliantly,” Stewart says. In the 1970s, between guest appearances in numerous television shows (including classics such as “Gunsmoke” and “Hawaii Five-O”) Stewart ran a clothing store on Santa Monica Boulevard in Los Angeles called Liquid Butterfly. “I made and sold patchwork prairie dresses, vests, hats — all that funky stuff that was so popular in the early ’70s,” she says. The store developed such a following that it was written up in Time magazine. Today, she’s making a name for herself as the proprietor of the new Liquid Butterfly, an online business (www.cafepress.com/unkiemonkie) that combines her enthusiasm for reuse and recycling with her long love of creative sewing and fabric design projects. T-shirts. 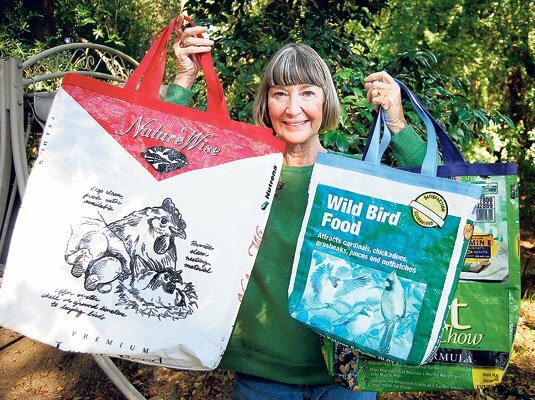 She also produces reusable shopping bags made from sacks of chicken feed and cat food. Ten percent of the proceeds go to breast cancer charities. Business is brisk. Stewart recently completed a special order for 100 handmade bags for a client in Los Angeles. Stewart got her start in sewing and performing in Yuba City, north of Sacramento, where she grew up. Where she lived it was impossible to find ready-to-wear costumes, so her sister taught her how to sew. 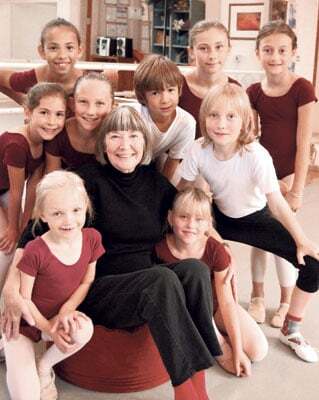 The skating exhibitions gave her a taste for performing and after high school she won admission to study theater at the Pasadena Playhouse in the mid-1950s. “I really didn’t know much about it. I thought it was a movie of the week,” she says. After auditioning for the part of the schoolteacher, she promptly forgot about the whole thing until her agent called and said she’d been offered a four-year contract. “I was shocked. I said, ‘It’s a series? !’” she laughs. The No. 1 question she’s still asked today by fans is, what was it like to work with Michael Landon? Even so, she remembers him as fair and flexible. Once, when she had a chance to play a role in the TV movie “Return to Peyton Place,” Landon wrote her out of a brief appearance in an episode to free her up for the other job. While she was on the Little House series, she was introduced to a student filmmaker named David Lynch who asked her to appear in his film “Eraserhead.” The role of Mary X in the now-classic black-and-white Lynch film — which plays like a mesmerizing nightmare — is a universe away from the calm, wise Miss Beadle in Walnut Grove. And it shows her range as a performer. “Betty was a mom in probably the most dysfunctional family on TV,” she says with a grin. Other notable films in the 1980s and 1990s include “Tremors” with Kevin Bacon and “Slums of Beverly Hills” with Marisa Tomei. Television shows included “Coach” and “90210.” Her latest television appearance was in 2007 on “The Office,” working with Rainn Wilson. While she is still offered roles in a variety of Hollywood projects, her focus for now, she says is in this community close to family and new friends with the projects, such as Beadle Bags, that are most important.